Under Security Information Center there are 5 sections: Alerts, Advisories & Bulletins, Best Practices, Security & Technology News, Vulnerability Report & Security Research. But there is no section for posts about "downloads", and i mean e-books / guides etc, not software. Security & Technology News or Best Practices doesn´t seem to be the right sections. A good book or guide written sime time ago is not exactly "news", but it might still be very useful. I suggest creating a new section for security-related "downloads" like e-books or guides. because i don´t think anyone understands what Best Practises means, and what it is meant for. ‘There is an extraordinary textbook written by Ross Anderson, professor of computer security at University of Cambridge. ‘I'm incredibly impressed that one person could produce such a thorough coverage. — and far more useful — than novels (and my normal science fiction). When I first got it in the mail, I said to myself "I'm never going to read all of that. "But once I started reading I just kept going and going. Fantastic: well done. ‘The book that you MUST READ RIGHT NOW is the second edition of Ross Anderson's Security Engineering book. This book is by many considered as "the bible" ! so there is a lot of link-clicking to download them all. and uploaded it to my Onedrive where you can get it with just 2 clicks. that has made the book available for download, on his own webbpage. I suggest creating a new section for How to´s / Guides / Tutorials. I haven´t checked the whole forum, there might also (already) be other posts that could be placed in such a section. I have a problem with Outlook 2010. Normally, when you have created a new account it is an "internal" account, meaning that when you right-click on it you have an option to "Remove" it. right-clicking on it shows an option to "Close" instead of "Remove" the account. What is really weird is that this happens with new accounts / emailaddresses that have never been used before in Outlook. I know that Outlook can be weird, and create new PST-files with almost the same name, fx. if there already is a PST-file with the same name. But there is no "old" PST-files, i have doublechecked the folder. I have created & deleted accounts several times. I have used scanpst several times, it finds and repairs errors, but the problem remains. Of course i could let the new accounts continue to be "mounted", as it really doesn´t matter. But i suspect there is an error in Outlook, and i want to find and fix it. I wonder if there are any limit on the number of accounts you can have in Outlook ? Any ideas about how to fix this ? Feedback & Suggestions / Add Emsisoft´s malware-forum to "Malware Removal & Help Centers"
Emsisoft gives professional help for FREE on their forum. So I suggest adding Emsisoft to the list. "Microsoft has explained its policy about how much information it will offer on the content of Cumulative Updates to Windows 10. “As we have done in the past, we post KB articles relevant to most updates which we’ll deliver with Windows as a service. Installing more spyware in their customers computers !? By default Emsisoft Anti-Malware installs as a free fully functional 30 day trial version. After the trial period you can either choose to buy a full version license or switch to the limited freeware mode. The freeware mode still allows you to scan and clean infections, but it doesn't provide any real-time protection to guard against new infections. Antivirus & Anti-Malware & Firewall, all-in-one. Emsisoft Internet Security completes Emsisoft Anti-Malware with an efficient firewall core that suits anyone who dreams of ultimate protection, especially in third-party networks. Light weight design means using minimum system resources for maximum protection and usability. Emsisoft Internet Security focuses on just one thing: Protecting your computer without compromise. No more, no less. Emsisoft Internet Security is not an overloaded, bulky software like most products on the market today. It is slim and efficient. Global and application-based firewall rules are easy to set up and clearly presented in the layout, while still remaining extremely flexible. Emsisoft Internet Security is a complete security suite, made to prevent infection from all Internet threats. 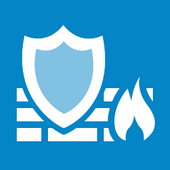 An intelligent firewall closes off and hides your system when using public networks. Your PC will be practically invisible. Includes IPv6 support. Keeps fraudsters away from your money by hardening your browser software. Emsisoft Anti-Malware 11 and Emsisoft Internet Security 11 run on virtually any PC that has Windows 7, 8 or 10. Both 32 and 64 bit editions. 2008 SE and 2012 (including R2) systems. If you have a conventional harddisk, create a RAM-disk and speed up your computer. Unfortunately Microsoft doesn´t offer any RAM-disk program anymore. I have used it for about a year now and it´s working perfectly, I highly recommend it. it makes a BIG difference if you have a conventional harddisk. only use the ADMIN-account when installing software or doing system maintenance. and they might also need access to the tempfiles after a restart. Remember, if you don´t save the ramdisk when shutting down / restarting, the tempfiles are gone after the restart. it´s the ADMIN-account that is used during the installation. Remember the UAC-prompt asking for the ADMIN-password...? Note: Make sure you have a working ramdisk before you change the location of the temp-files ! Control panel → System → Advanced system settings. change the drive-letter to the ramdisk. fx. "R:\Firefox"
Note: I haven´t used Google Chrome for years so I don´t know if the instructions for it above are still correct. 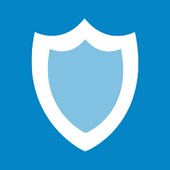 Products Info & Discussions / Is Emsisoft Internet Security the same as Emsisoft AntiMalware & Online Armor ? Is Emsisoft Internet Security (EIS) the same as Emsisoft AntiMalware (EAM) & Online Armor (OA) combined ? but Emsisoft Anti-Malware and Online Armor Premium offer a lot more functions and features than Emsisoft Internet Security." "The Emsisoft Online Armor product has been an integral part of our product portfolio for almost five years. It served us and our customers very well in complementing Emsisoft Anti-Malware with a rock solid standalone firewall. Emsisoft Online Armor’s biggest strength has always been its HIPS (Host based Intrusion Protection/Prevention System) components, which are meant to alert any potentially dangerous actions executed by programs on the operating system. As the internet threat landscape changes over the years, our response to these new challenges needs to adapt as well. Security software needs to be even more powerful, yet less intrusive to avoid any unnecessary annoying alerts. which sees each action on the system individually and therefore always causes much more alert popups by design. You can read more about the differences in this article. which we are certain have a great future ahead." It´s FREE and it works well together with Emsisoft Anti Malware. Use mutual exclusions (tell both of them to ignore the processes of the other) for optimum performance. Currently it´s only possible to change the height of the editor window. It would be good if we could also change the width. I suggest enabling that, if there is such an option in ACP. There are 2 links in the Top Menu; "Show unread posts since last visit." & "Show new replies to your post." Which means that each time you want to use that link you have to go to that page, and then scroll down to the bottom. I suggest adding (copying / moving) that link to the first line in the Top Menu. Having it at the top together with all the others ( Home, Search, etc) would make it a lot easier to keep track of all new posts.